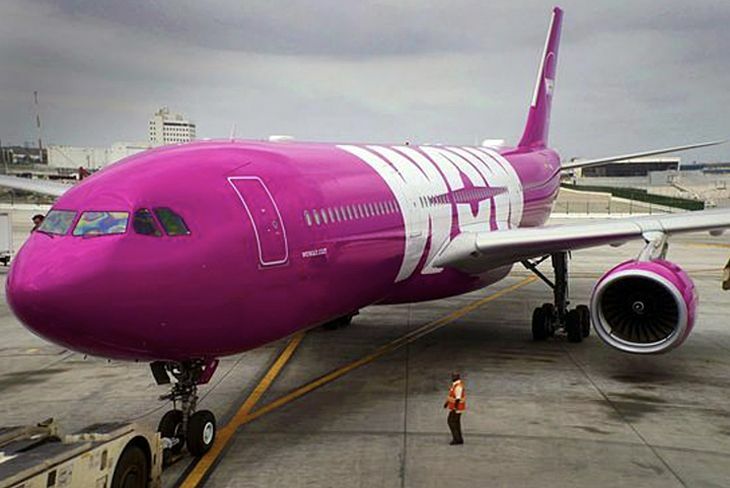 Over the last year there have been numerous TravelSkills posts about WOW Air and its ultra-low fares from the US to Europe. Until now we’ve only wondered what the experience might be like. But this week reader Jason Vaudrey submitted the following Reader Report describing his experience. Read it, and let us know if you’d take the plunge on WOW Air, too! 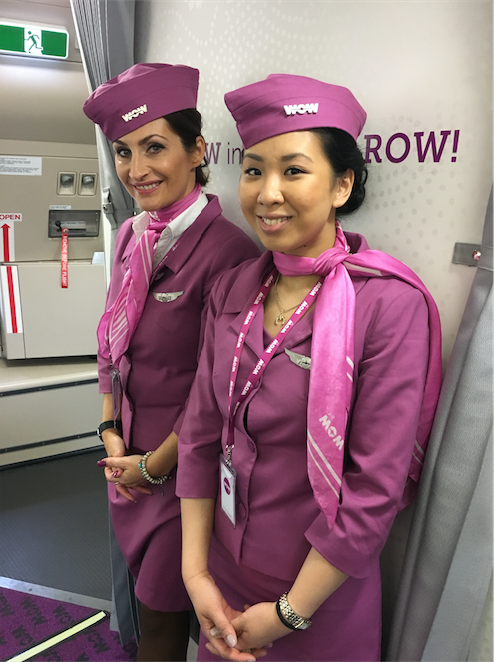 In mid-February, I flew WOW Air in economy class to Reykjavik (KEF) and met up with a friend and explored South Iceland. WOW Air began nonstop service from SFO this past year using an Airbus 330-200. On this widebody there are 319 economy class seats and 23 roomier XL seats. Flight time on SFO-KEF is about eight hours. I departed on Monday, February 13 at 11:20am and arrived to Reykjavik (KEF) on Tuesday, February 14 at 4:00am. On the return, I departed Reykjavik at 4:00pm and arrived to San Francisco at 5:10pm on the same day. There is an 8-hour difference between the west coast of the U.S. and Iceland. Don’t miss: WOW Air adding roomier “premium seats” this summer! I chose seat 5C outbound and on the return I sat in 5H. Both were aisle seats, but I noticed that 5C could not fit my backpack under the seat easily while 5H stored it very easily. And there was no metal box underneath the seat in front of me that would have prevented this from happening. The check-in process at SFO is smooth and they weigh all checked luggage at SFO, so that they confirm you paid the proper amount. They also tag your carry-on bag at the check-in counter and verify it at the gate, to indicate to the cabin crew that the bag will need to be placed underneath the seat in front of you. Despite the vigilance of the ground staff, the cabin crew did not seem to care if you stored your bag in the overhead lockers, as I did with my backpack and many other passengers did, too. Unlike most flights, where there is a battle for overhead bin space, this was a non-issue on both flights. There is no seatback entertainment system, but upon takeoff the cabin crew offers iPads for $16 that have movies available and there is an electrical outlet to charge your devices, but only one, so you will need to share with your seatmate. I did not rent an iPad, so I was unsure as to what was offered on them. No USB ports or wi-fi are available on board the airplane. There are charges for all beverages and snacks— there’s a plentiful selection and comparable with prices that you would pay for the same food in Iceland. They offer alcoholic beverages and a variety of specialty sandwiches for flights from LAX and SFO. Online you may order food and prepay for the food for flights leaving Reykjavik, but preordering food for flights from SFO or any US destination is not available. 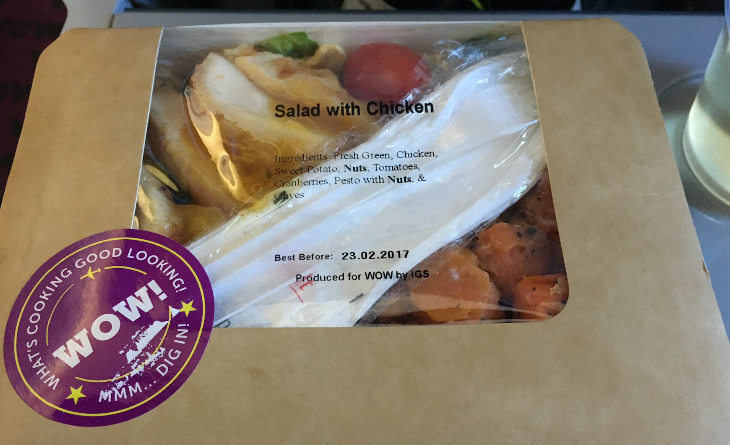 If you are connecting in Reykjavik, you can pre-order food, but you will not receive it on your flight from SFO, but rather your connecting flight departing Reykjavik. I had pre-ordered a chicken salad on my return which was $16 and it was delicious. Yes, a bottle of water is $3, so make sure to fill your water bottle at SFO prior to boarding. And no, they do not charge to use the lavatory. The cabin crew brought out the beverage/food cart after takeoff offering a wide array of beverages and things to eat. Afterward they come around and offer duty free items. You may purchase alcohol on board and it might be wise to consider making a purchase (see below on alcohol in Iceland). Throughout the flight, attendants encourage you to use your call button, and they are happy to bring you any item you need along with their mobile credit card machine (they do not accept cash). In fact, most places in Iceland have similar mobile devices and that worked out well. After it was all said and done, I spent approximately $650 for my ticket purchased in the beginning of December for my trip in mid-February. And compared with Icelandair at $950, which would involve flying Alaska Airlines up to Seattle and connecting at Sea-Tac, I think the nonstop 8-hour flight on Wow Air is worth it. The employees (airport personnel, cabin crew, and pilots) were friendly and professional, the aircraft was extremely clean, plenty of items to purchase and items to satisfy both your hunger and entertainment needs. There were approximately 100 seats empty on the outbound and 40 seats empty on the return flight. I went on Wow Air with the mindset that it was a budget carrier and I would have to pay for everything, and it worked out well. The cabin crews on both flights were attentive, nice, and showed great hospitality. The seats were firm, but comfortable and the recline was decent. The lever for the seat recline was underneath the seat, as opposed to a button that you depress on the armrest. I managed to sleep four hours going to Reykjavik. One important note: In Iceland, alcohol is sold only at government owned stores named Vinbudin. 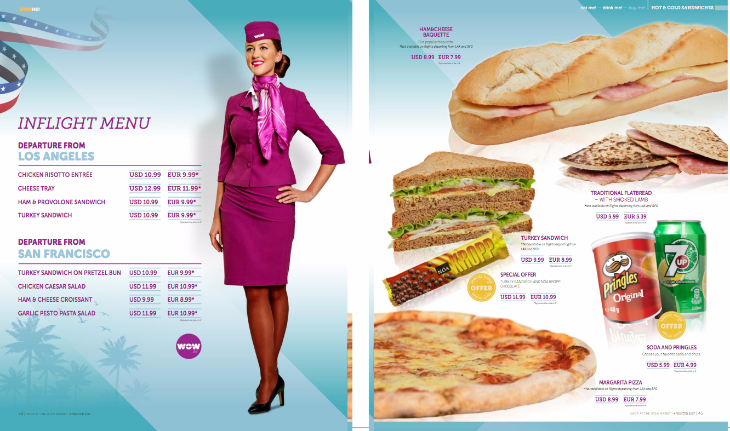 In fact, Wow Air has a page describing the history of alcohol in Iceland and the rules surrounding it. The cost for alcohol along with most items, is extremely expensive and taxed heavily, so stock up on alcohol upon landing in their duty free before exiting arrivals! 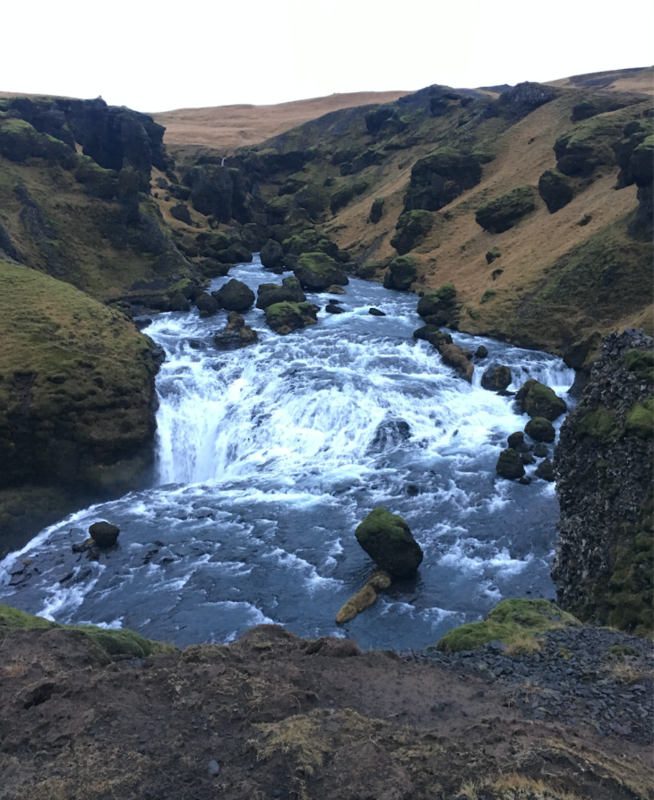 We were there a week and chose to rent a car and explore southern Iceland, used Reykjavik as a base, and took day trips around southern Iceland. It is easy to get around, and the roads are well maintained. If that is not comfortable, day excursions can be planned easily in central Reykjavik on their main road: Laugauvegur. Day trips are expensive and if you want to visit the infamous Blue Lagoon, book a reservation online early. 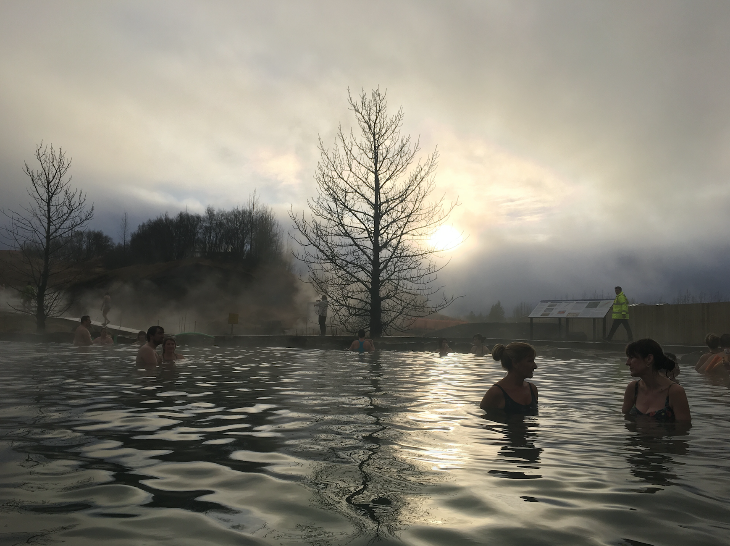 We opted for the Secret Lagoon in Fluoir, which was not so much a secret, about 100 km from Reykjavik. It was wonderful. Many people were there, but it was not overwhelming and very enjoyable. In February, the sun rises approximately at 9:30am and the sun sets about 6:00pm. The weather was not too bad and we were very fortunate, because upon leaving, it was forecast to snow. Iceland is gorgeous and breathtaking. If you go in winter, seeing the Northern Lights is incredible. A quick trip just outside of Reykjavik and away from the light pollution of the city, you can witness it. We were fortunate to be able to view the Northern Lights one night when we realized how clear the sky was after returning from dinner in Reykjavik. But other than that, it was overcast each night. Are you interested in submitting a reader report to TravelSkills? Here are our guidelines. We’d love to hear from you!